I've recently become enamored with chain-mail jewelry (especially after making that jewelry for my mom), and recently, after being inspired by some earrings from this etsy shop that are no longer for sale, I decided to give it a another go. With the exception of the ear wires, I just used material from my beading stash, and the whole thing took me less than an hour, so they weren't much of an investment all things considered. 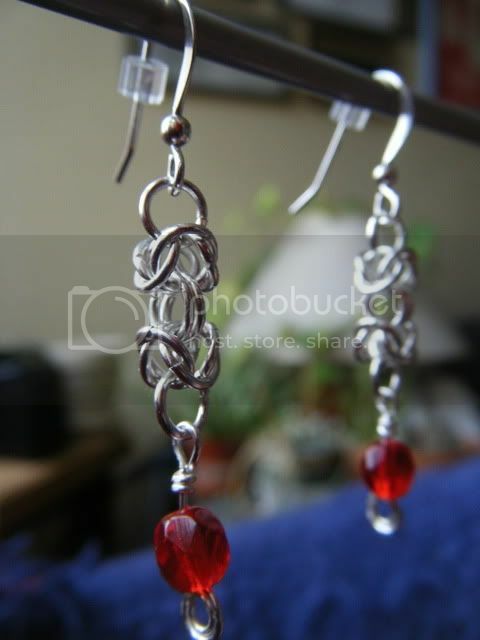 The ear wires are pure silver, the bead is glass, I think, and the wire and jump rings are silver plated. The hardest part was making the loop for the bead wire. 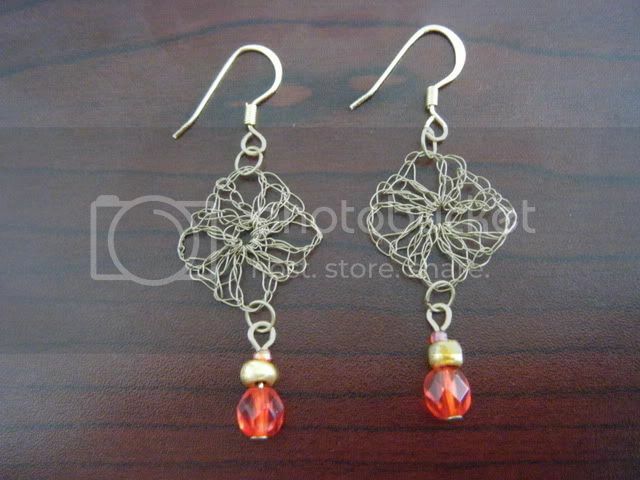 This next set of earrings was a little more difficult, but only because crocheting wire is an act of pure masochism. Well, it's not that bad, but also not for the faint of heart. 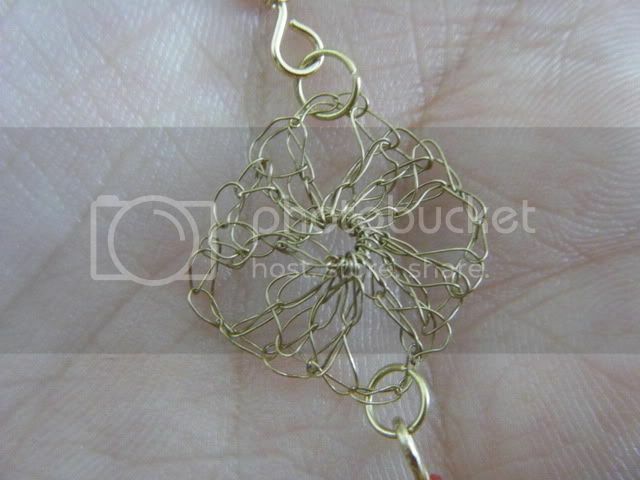 I used the thinnest wire I had with a 2.5mm crochet hook and made my own jump rings with slightly thicker wire. The join in the jump rings isn't as tight as I'd like, so I'm thinking it might be worth investing in a soldering iron. I'm not sure what the construction of the wire is, but the thinnest wire certainly isn't gold because it's already oxidizing a bit. I guess I'll have to invest in higher quality materials too. I'm toying with the idea of maybe opening my own etsy shop, but we'll have to see. 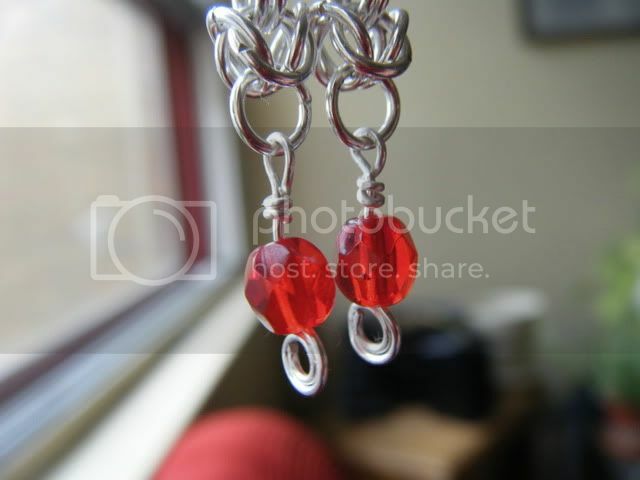 I certainly plan on making more of this jewelry!